If you log in, you will receive further scientific posters and can download articles published in our Aerosol Journal. There is also useful information on possible mixtures of medications. Nebulized hypertonic saline (HS) is an effective approach in patients with CF in improving mucociliary clearance, lung function and quality of life. The term “moistening” of the airways, referring to the additional benefit of nebuliser therapy, has become a firmly established concept. In reality, however, the inhaled saline aerosol does much more than just moisten the surface of the lungs. 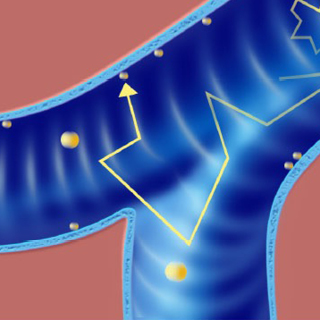 The ions that reach the airway surface layer (ASL), depending on their concentration, measurably change its physical properties. When using a physiological saline solution as a carrier solution, your patient benefits not only from the effect of the medication, but also from the independent secretolytic effect of the saline solution. Clinically, these changed properties lead to secretolysis, for example, and make it easier to cough up mucus. Studies have also shown that the suspended particles in the expired air, with which germs can be transported and spread, are also reduced after inhaling physiological saline solution. The authors of this study see this as an opportunity to reduce the spread of respiratory infections. Inhalation is fast and very easy to do. Combine physiotherapy with inhalation and save time. In patients with persistent secretion retention and tracheobronchial instability, a physiotherapy approach may also be indicated in addition to administering the active substance. The “Deutsche Atemwegsliga" (German Respiratory Health League) also lists inhalation of saline solution and PEP therapy in their recommendations for respiratory physiotherapy. The use of inhaled saline solution is recommended for secretolysis. PEP respiration is used to mobilise secretions and reduce tracheobronchial collapse. 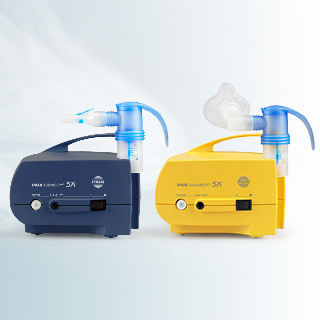 PARI nebulisers allow your patients to combine inhalation of the active substance with an effective physiotherapy to save time: The various PARI systems can be very easily attached to the PARI nebulisers, so that your patient’s inhalation therapy and PEP respiration can be performed at the same time. Time-saving combination of physical and inhalation therapy. Bring soothing sea air into your living room. Thanks to modern inhalation devices and saline solutions from PARI. 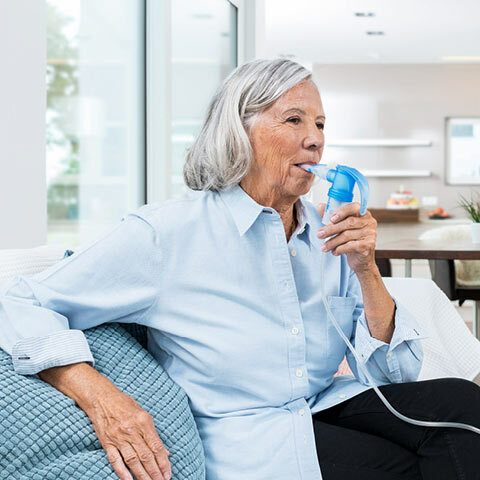 Use our interactive product guide to quickly and easily find the right inhalation device for your needs. Which device for which patient? The decision to opt for an inhalation system depends on patient-specific factors, on the properties of the inhalation system and the medication used. 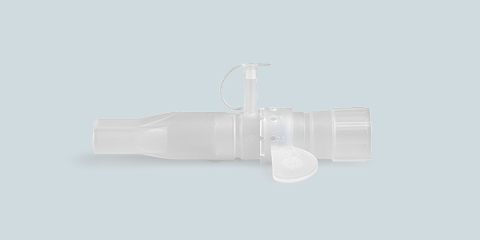 Patients who are not able to inhale in a controlled and coordinated manner should be advised to use a propellant-driven metered dose inhaler (MDI) in combination with a holding chamber. If the inhalation flow generated is unsatisfactory, most dry powder inhalers (DPIs) are insufficient. In these cases, nebuliser systems are a good alternative. There are special regulations that must be observed for inhalation devices and nebulisers when there is a change of patient. Hygiene – infection prevention in hospital routine. 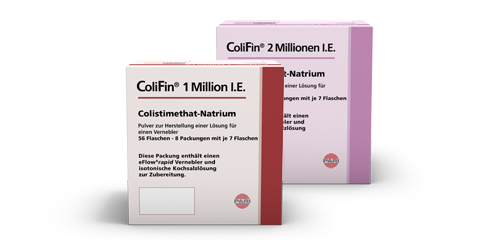 Increasingly resistant pathogens and increasingly stringent requirements demand a comprehensive hygiene concept for the clinical routine. 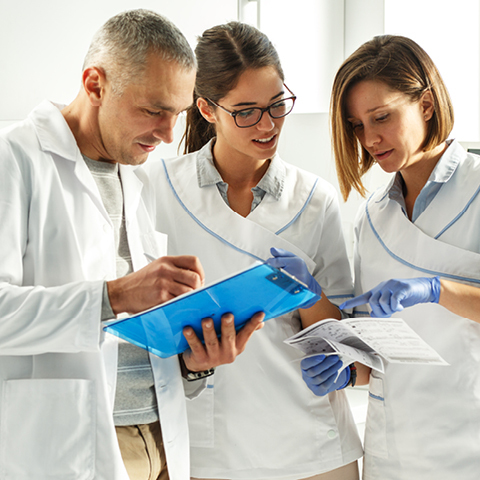 It is good to know that reliable products make life a little easier for those responsible for hygiene in hospitals and practices - and the PARI products do just that, with hygienically safe processing of their multiple-use devices. The instructions for use lists products used in the hospital and a practical checklist to ensure hygienic processing in professional settings. 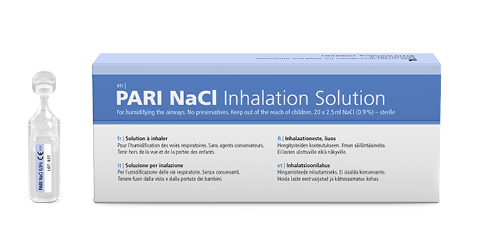 At PARI we have specific solutions for professional inhalation therapy at your hospital or medical practice. Frühjahrstagung des Berufsverbandes der Pneumologen in Sachsen e.V. To ensure that the aerosol reaches the sinuses or the lungs, for example, a specific droplet size has to be generated. 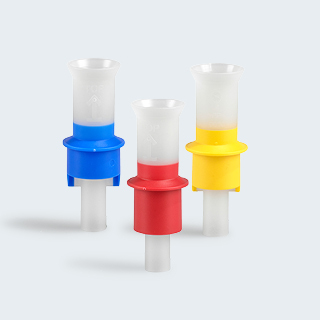 The nebulisers from the PARI LC SPRINT family are fitted with nozzle attachments in a range of colours. Aerosol therapy has a very important role to play in the treatment of respiratory disease. During inhalation, the active substance reaches directly where it is most needed. This means it is possible to avoid or at least greatly reduce many systemic side effects. 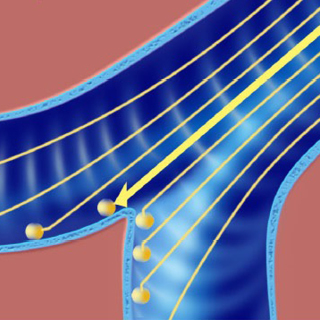 The deposition of aerosols in the airways is determined by three factors: impaction, sedimentation and diffusion. Which of these mechanisms has the upper hand depends on particle size and speed of inhalation. 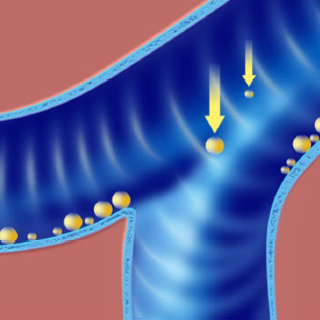 Impaction is the depositing of the aerosol particle in the lungs because of its mass inertia. While slowly inhaled and small particles can often follow the respiratory flow even through branches and narrow passages, faster and larger particles tend to impact or stick to a surface in their pathway. Aerosols with a diameter of > 3 µm tend to be deposited by impaction, irrespective of breath flow. This gravitational deposition occurs between breaths when the governing factor of airflow no longer applies. It depends on particle size – larger particles sediment faster than smaller particles. 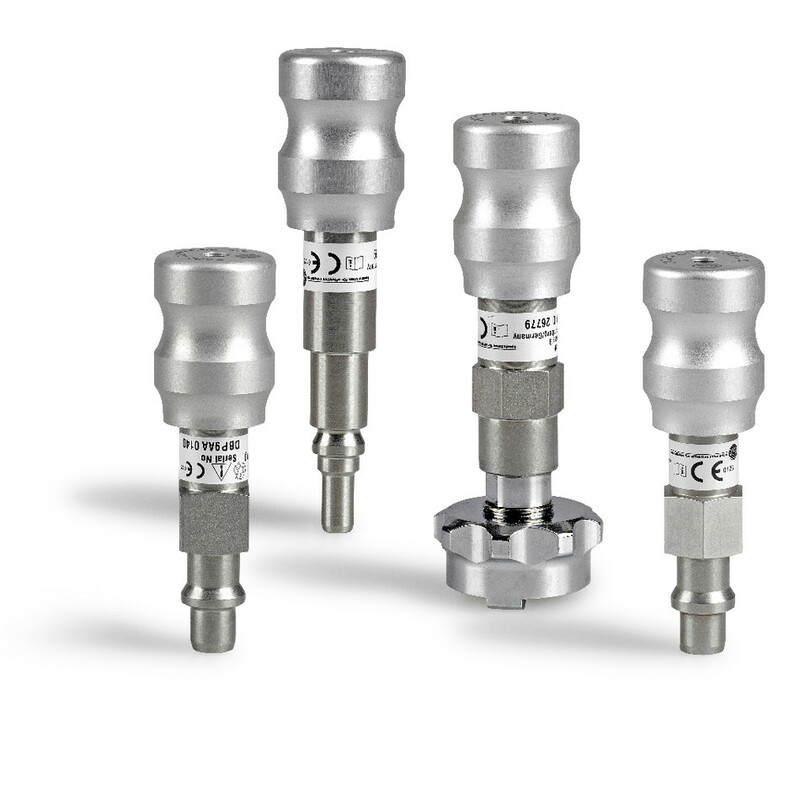 As the largest particles are generally filtered in the upper parts of the airways because of impaction, the process of sedimentation is particularly important in particles measuring between 1 and 4 µm. When there is no air flow, particles that are smaller than 1 µm tend to follow the pattern of Brownian motion. Because of their low weight, they are not actually subject to the process of sedimentation. This means that they can continue to float if you hold your breath and most are then expelled the next time you breathe out. 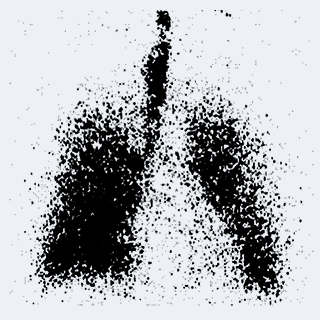 A small proportion of particles hit the surface of the lung during diffusion, where they are then deposited. Generally, dispersal deposition in the lungs can be increased with a high inspiratory volume and slow inhalation. To reach the upper airways, i.e. the nose and throat region (extrathoracic deposition), select an inhalation system that generates an aerosol with a range of 8 - 10 μm. Patients should breathe in as quickly as possible. A pulsating aerosol with smaller droplet sizes has proven an effective method to pass through the small openings in the sinuses. 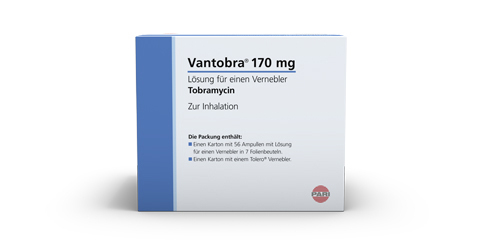 If the medication needs to be deposited in the central area of the lungs, the. particle size of the aerosol should be 4 - 8 µm. Here it is important to remember to breathe in slowly so as to reduce the deposition in the laryngeal region. For alveolar deposition, much smaller droplets are required, i.e. an MMAD of 3 - 4 μm. The inhalation manoeuvre should be slow to minimise the deposition of the larger droplets in the throat region. The patient should hold his breath at the end of the inspiration for a moment to increase the probability of alveolar dispersal. How much of a substance can come into effect in the airways depends on a range of factors that in turn depend on the medication, nebuliser performance, and the patient. Sie haben Fragen, Anregungen oder möchten mit uns über wissenschaftliche Erkenntnisse sprechen?